WASHINGTON (Reuters) - U.S. and Mexican officials put off until Wednesday talks aiming for a breakthrough in the renegotiation of the North American Free Trade Agreement (NAFTA), although one member of the incoming Mexican government met U.S. officials on Tuesday. Ministerial talks had been expected on Tuesday, but Mexico's top trade official, Economy Minister Ildefonso Guajardo, would not meet with U.S. Trade Representative Robert Lighthizer in Washington until Wednesday, the Mexican ministry said. Instead, Jesus Seade, designated chief negotiator of Mexican President-elect Andres Manuel Lopez Obrador - who is due to take power in December - met Lighthizer. Seade said as he entered the talks that the teams were making "good progress" and "coming to the end" of their discussions. 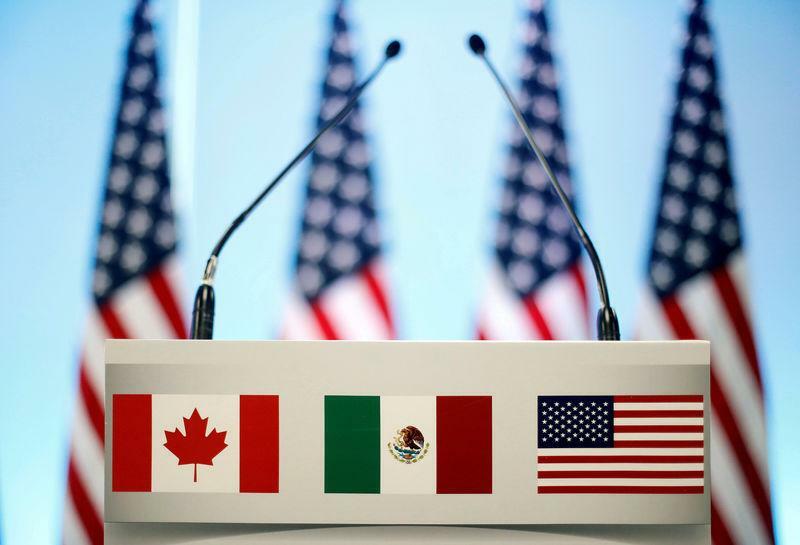 U.S. and Mexican officials have indicated they will push for a deal on reworking rules for the automotive sector that could open the door for Canada to return to negotiations as soon as this week. Since restarting last month, talks have focused on ironing out differences between Mexico and the United States which cut to the heart of U.S. President Donald Trump's gripe with NAFTA: that it has hollowed out U.S. manufacturing to Mexico's benefit. Trump has threatened to withdraw from NAFTA if it is not reworked to his satisfaction, hoping to claw back jobs and reduce the U.S. trade deficit with Mexico. Talks to rework the 24-year-old accord that underpins the bulk of foreign trade in North America have ground on for more than a year, and stalled ahead of the July 1 Mexican election as negotiators failed to make a decisive breakthrough. Seade, a former deputy director-general of the World Trade Organization, has referred to Lighthizer as a friend he has known for years, and said that the two have a "very good relationship." Leaving Lighthizer's offices, Seade said there was "no special reason" for his meeting and that he was supporting the government's negotiation.